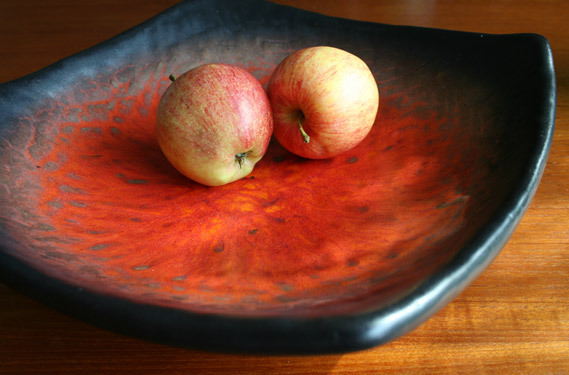 Love this flame red Fat Lava bowl. It has no backstamp but likely to be of West German origin. Who says it was dull and grey behind the Iron Curtain? 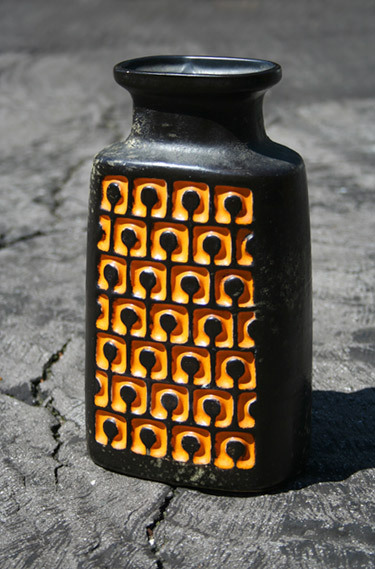 This patterned loveliness produced by VEB (Volkseigener Betrieb – The People’s Factory) Haldensleben instantly became my favourite ‘Fat Lava’ piece. I only regret that I didn’t buy the second, slightly smaller edition as well. Spitalsfield Market for £20. Thank you people! Christmas came early this year in the shape of this ‘Fat Lava’ trio from Spitalsfield Market. 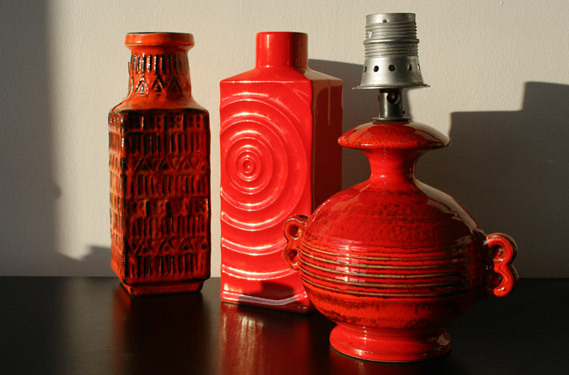 A Steuler ‘Zyklon’ and a Bay vase and a gorgious lamp base of unidentified origins. All together for £40. It can’t get more Fat Lava than this. Bubbling glaze and flame red colour. 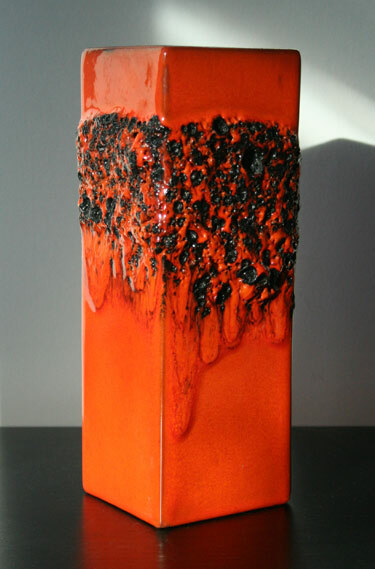 The vase has been made by ‘Kreutz Keramik’, a family business in Haiger-Laugenaubach near Cologne.